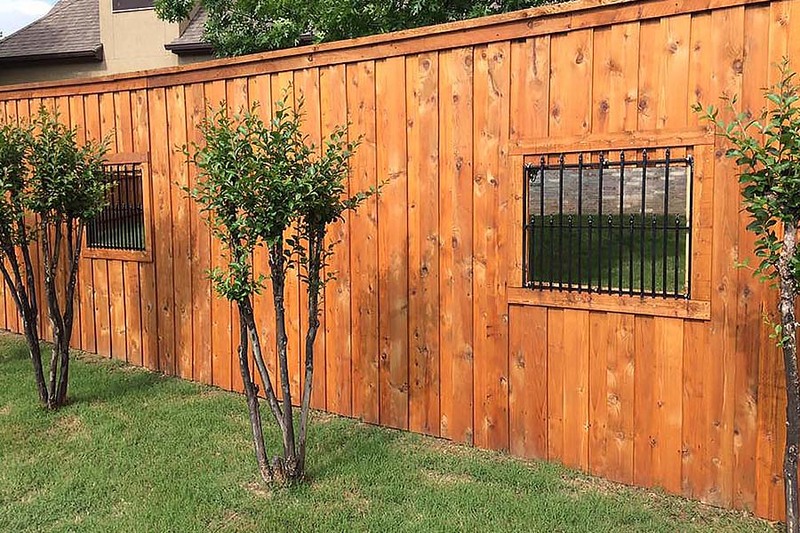 If you’re replacing a wood privacy fence (or building a new one), the cost can really add up. Especially, if you’ve got a big yard. A cost savings of $4 to $5 per foot may be tempting. May begin rotting away sooner than you had hoped, requiring a costly repair or another fence replacement. They just don’t build cheap privacy fences like they used to. Today, we’re going to look at why that is. And we’ll look at a better privacy fence option – an affordable wood privacy fence that lasts for years and years. That the process and chemicals used to create pressure-treated wood changed in 2004. The pressure-treated wood made today does not last as long as it once did. Prior to 2004, pressure treated wood was most commonly treated with a chemical called Chromated Copper Arsenate (CCA). That chemical has been replaced by Alkaline Copper Quaternary (ACQ) and others. Through decades of fencing, it’s been our observation that the newer pressure-treated wood fence posts just don’t last as long as they used to. Privacy fences with pressure-treated wood posts could last 20 years or more. Now, it’s not uncommon for wood posts to show serious rot in 4-7 years. And with that rot, the structural integrity of the post gets diminished. Before you know it, your fence is leaning badly or just blows over in a heavy wind. If that happens, the entire fence may need to be replaced. As we’ve already discussed – common 4x4 pressure treated fence posts just don’t last like they used to. Fungus, bugs and moisture begin working on the post as soon as it’s placed in the ground. While pressure treated wood fence posts may be suitable in some applications, you may want to consider a fence post that will last much longer. Galvanized steel fence posts can extend the life of your fence up to 2 or 3 times. Would you rather replace your fence in 7 years or 20 years? 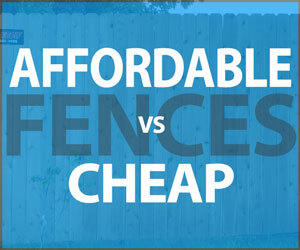 When you consider the cost of replacing an entire fence (versus spending a few dollars more per foot for metal posts), the more affordable choice in the long run is metal. Fence contractors have a variety of options to choose from when selecting fence pickets for your fence. Each wood variety varies in terms of rot-resistance, appearance and longevity. The most common variety of wood fence picket is Western Red Cedar. Western Red Cedar is a high quality wood sourced from Canada and parts of the Western United States that has natural insect and rot resistant properties. Be careful when getting quotes from fence companies that are quoting Chinese Cedar. While this product may look similar to Western Red Cedar, it’s actually not cedar at all. It’s a fir tree product imported from China. Additionally woods come in different grades of lumber. Clear Grade, #1 Grade, #2 Grade, #3 Grade, etc. Some fence installers might use a #2 or #3 grade fence picket to make the fence cheaper. #1 Grade Western Red Cedar fence pickets are an excellent choice for a long-lasting, beautiful fence. This grade include no holes and it’s knot pattern enhances the look of your fence. Don’t allow a fence contractor to cheapen the project by using sub-standard wood materials. The backer rails of your fence create the structure onto which each fence picket is attached. If your backer rails fail – your fence fails. 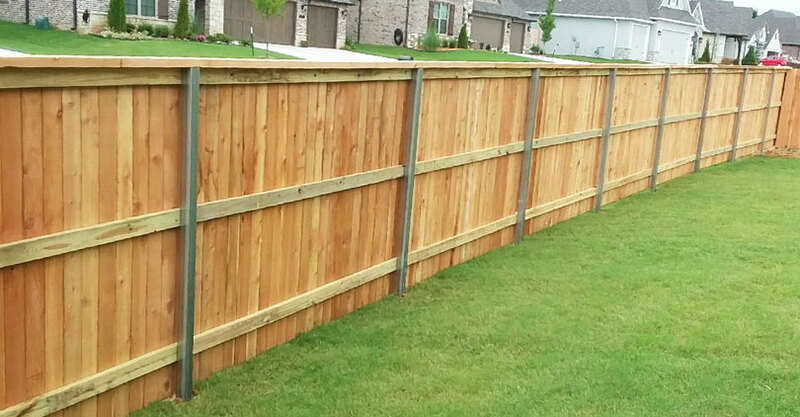 Some fence contractors use inferior wood for backer rails to provide a cheap privacy fence. Ask your fence contractor if he is using treated or untreated white wood rails. Untreated rails will sometimes rot at the ends (where they attach to your fence posts). When that happens, your fence begins to fall apart and will need costly repairs or replacement. Treated backer rails are a better choice because the wood resists rot and insect damage a lot longer. And this will extend the life of your fence. When purchasing a privacy fence, most of us would assume that the fence installer is using proper nails and fasteners. But not all nails are created equal. And this is another area that some low budget contractors use to cut costs. The manufacturers of treated wood all recommend hot-dipped galvanized nails or stainless steel nails and screws for use with their products. 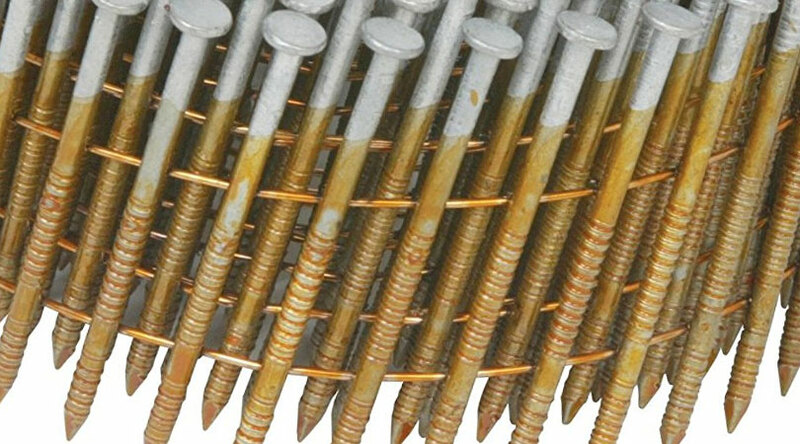 Galvanized nails provide corrosion resistance to keep the nail from rusting. The best type of galvanized nails are hot-dipped galvanized – where each nail is coated with molten zinc. A cheaper galvanizing option is electroplated galvanizing which applies a much thinner coating. Electro-galvanized nails are not suitable for exterior fences. They rust and corrode faster. Hot-dipped galvanized ring shank nails include rough rings or ridges on the nail shank. They hold a lot better. And they stand up to the elements. Before you purchase a new privacy fence, ask about the crew that will be tasked with installing your fence. Many fencing company hire sub-contractors to install their fences. It could be a toss-up. Some crews try to reduce jobsite time by cutting corners or rushing through various installation steps. Shortcuts could include: poorly mixed concrete for post footings, lack of care for property, misplaced fence lines, etc. Look for a fence company that has their own crews. A professional fence company will established quality standards that are consistent company-wide. And as a result, you’ll end up with a better fence. Purchasing a privacy fence is a big investment in your home. Buying a cheap privacy fence may leave you with a fence that needs to be replaced in a handful of years. Your fence may lasts much, much longer. Need an Affordable Privacy Fence?